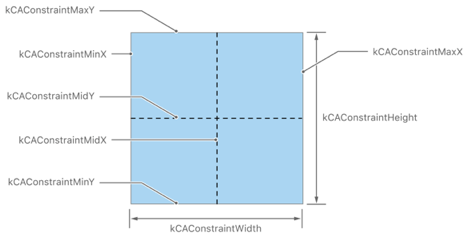 // Create and set a constraint layout manager for the parent layer. // Create the first sublayer. // Keep layerA centered by pinning its midpoint to its parent’s midpoint. 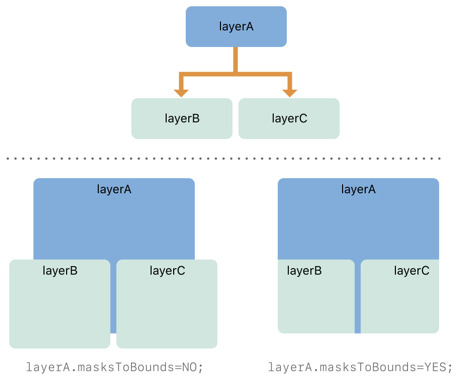 // Make the width of layerB match the width of layerA. // Position the top edge of layerB 10 points from the bottom edge of layerA. // from the bottom edge of the parent layer. // Finally, change the visibility of the layers. // Create the Core Image filter, setting several key parameters. // Apply the transform to a parent layer.